Back in April, we first heard rumors about Apple planning to use 7000 Series aluminum alloys for the upcoming "iPhone 6s," taking advantage of some of the expertise gained in using the material for the Apple Watch Sport to make for a stronger iPhone body compared to the 6000 Series aluminum used on the iPhone 6 and 6 Plus. That device received significant "Bendgate" attention after some early users found the device bending slightly under pressure in their pockets. Increasingly reliable reports of 7000 Series aluminum for the iPhone 6s followed by hands-on impressions of a "stronger body" and ultimately some measurements showing thickening of the shell's weak points have all pointed toward Apple making some changes to improve the strength and durability of the next iPhone. MacRumors has recently received data on the elemental composition of the iPhone 6s shell, revealing that the aluminum alloy being used by Apple does indeed include roughly 5 percent zinc, which is in line with many 7000 Series alloys and not found in the iPhone 6 shell. A just-published video from Unbox Therapy is showing similar results, as well as test results showing a significantly stronger body more resistant to bending. 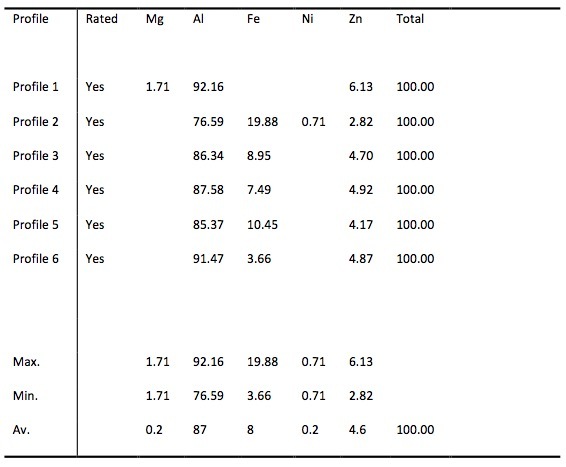 Interestingly, the data we received showed high iron levels of around 8 percent on average, although the iron composition varies significantly among test samples. Unbox Therapy, however, is not seeing particularly high levels of iron in its sample. 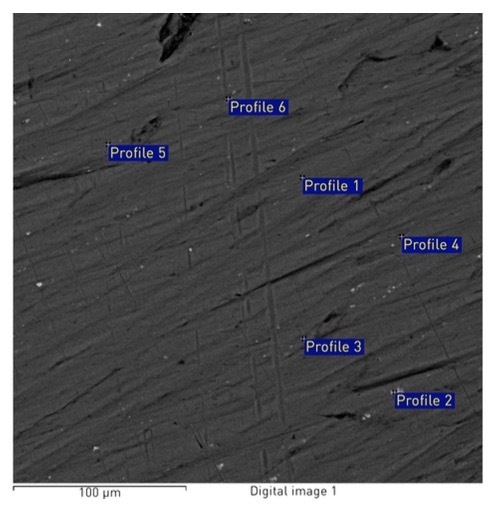 We've been told that some iron can be introduced into the shell during the milling process, which can account for some of the variability in measurements shared with MacRumors. The small quantities of iron at levels seen by Unbox Therapy can be used to enhance durability and make the material easier to work with during the casting process. As shown in electron microscope images shared with MacRumors, the iPhone 6s shell is covered with a roughly 10-micron thick anodized aluminum oxide layer to help protect against corrosion. The anodization layer also enables Apple to introduce dyes for various color options. 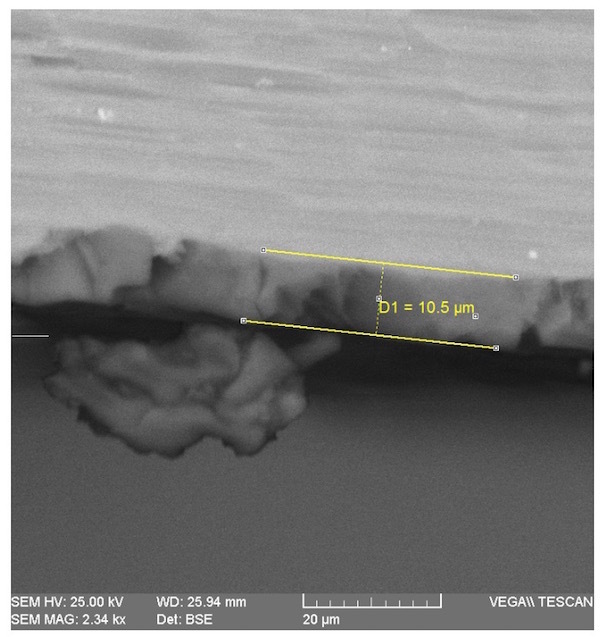 Scanning electron microscope image showing 10-micron anodization with lighter aluminum color above. Chipped particle can also be seen. Unbox Therapy also subjected the iPhone 6 and 6s shells to bending tests, finding that while the iPhone 6 shell began experiencing significant bending at roughly 30 pounds of pressure, the iPhone 6s shell withstood at least twice as much pressure before bending. Apple is expected to unveil the iPhone 6s and 6s Plus at a media event on September 9. If tradition holds, the company would begin taking pre-orders a few days later and officially launch the new phone on Friday, September 18. The iPhone 6s should appear largely identical to the iPhone 6 but contain a number of hardware upgrades including Force Touch support, a new A9 chip with 2 GB of RAM, camera improvements, and more. A new rose gold or pink color option has also been rumored. That device received significant "Bendgate" attention after some early users found the device bending slightly ('https://www.macrumors.com/2014/09/23/iphone-6-plus-bending-pockets/') under pressure in their pockets. I'm just waiting to see what term is chosen if the iPhone ever has an issue pertaining to water. Now THIS is a teardown. Please count the electrons and confirm which elements are present. Milking the #bendgate issue, one video at a time. My 6+ bent within the first week or two of ownership. That was just from being in my back pocket sitting in my office chair or car seat. Functioned while bent for about 8 months before the touch-sensitivity of the screen started getting flaky. You repeatedly sat on your 6+ in a car seat and an office chair and you think there's a flaw in the phone? If only 9 iPhone 6 and 6 Pluses ever bent I don't see why they are spending so much time and money reengineering the case. Its just to shut up the people spreading the bendgate nonsense. Its for marketing reasons. Its Apple saying "look, we strengthened it case" even thought nobody ever really had a problem with it. Or that's my take at least. I've had absolute zero bending issues with my 6 Plus. Of course the one person who gained the most from the bendgate media frenzy keeps making videos on it. No, a phone belongs in your front pocket. Plain as simple. Doesn't mean it won't bend then, but if you put it in your back pocket you actually just ask for it to happen. Don't do it again, not even with a the iPhone 6s if its really as strong as how this video has shown. If Apple really has made the iPhone 6s this strong, that would be really really remarkable. It's a difference between day and night. Haven't had bend issues with my iPhone 6, but that doesn't mean I don't welcome this change. Especially because the phone itself would just be way more durable. And that adds up to the rest of what iPhone makes so great to me. For many potential iPhone buyers it will make a lot of sense as well. Some idiot will still try to bend them with all they have and claim that the phones are still bendable.